The Midlands Air Festival returns for 2019 in a new location, Arbury Hall, Arbury Park, Nuneaton. It will again feature Nightfire on Friday and virtually every type of aviation over the weekend. Thirty aircraft and over 100 hot air baloons including 40 special shapes have been promised. The first Midlands Air Festival was held in 2018 at Ragley Hall and was a massive success. Nightfire on the Friday evening featured a night time aerobatic air display with lights and pyrotechnics, followed by a hot air balloon glow: balloons inflated and burning to a choreographed music track and a fireworks finale. Most of the air displays were on Saturday and Sunday. They included classic WW1 & WW2 fighters, high energy aerobatics, classic jets, flying circus, helicopters, a gyrocopter and a full hot air balloon festival with around 75 balloons, mainly special shapes. 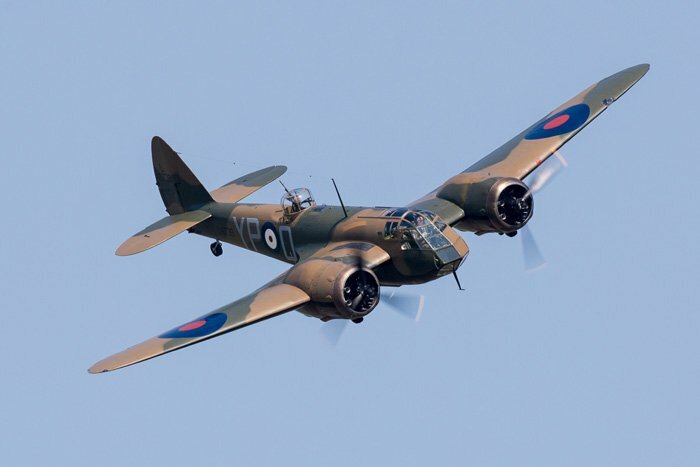 Further details of the aircraft and balloons that will feature in the 2019 show are on the show's web site. Arbury Hall, set in lakes and parkland of over 100 acres, was built on the ruins of a 12th century Augustinian Priory and remodelled into the Gothic style in the second half of the 18th century. The Estate includes Arbury Hall, park and farms, residential properties, a commercial estate and Astley Castle & Manor. This new aviation event for the Midlands, featuring virtually every type of aviation, was a massive success. On the ground there were trade stalls, catering, exhibitors, arena events and activities, including Battlefield South’s Commando laser shooting experience: free of charge on a first come first served basis. Ragley Hall itself was open and could be visited for an additional donation. The flying displays are listed in the table. Ragley Hall, a stately home completed in 1750, is the ancestral seat of the Marquess of Hertford and is currently the family home of the 9th Marquess and Marchioness. Use postcode CV10 7NF in the sat nav until you get close, but ignore the sat nav in favour of local directions signs as soon as you see them. There are links to route planners in the Travel Advice column if you prefer to plan ahead or don't have sat nav. The nearest main station to Arbury Hall is Nuneaton, which is a little over 10 minutes from the Hall by taxi. Expedia lists a good selection of smaller, as well as bigger, hotels and will find accommodation in villages and small towns as well as the main centres. Click the blue Expedia name for a list of hotels and guest houses near the show. The venue is already built into the link but when the list comes up you do have to enter your dates and change the number of rooms and guests, as necessary. The International Hotels Group have a Holiday Inn Express hotel at Nuneaton, about 2 miles away and there are Premier Inn hotels in Nuneaton (2 miles away) and Hinkley (4 miles) as well as several more in the Coventry area, around 10 miles away. If searching for a Holiday Inn, be sure to put 'Nuneaton' in the search box. If you try 'Arbury Park', you may get results from Australia.